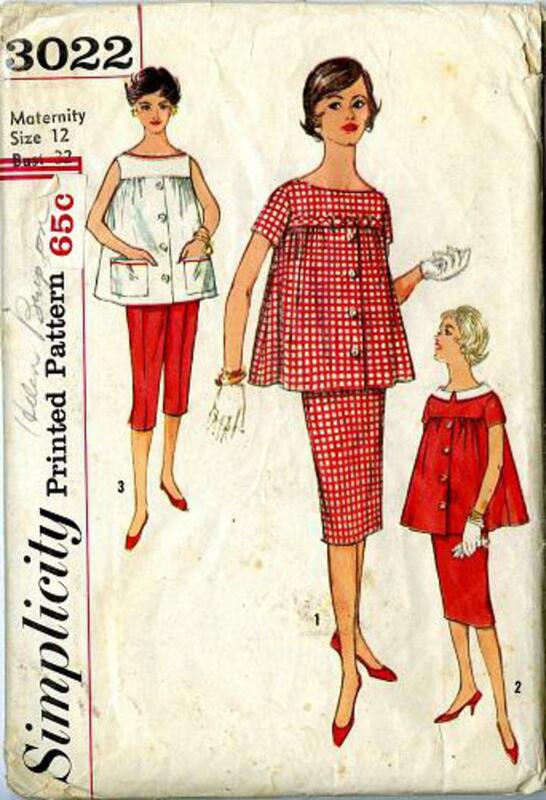 1959 Simplicity #3022 vintage sewing pattern, misses' maternity wear, top, skirt and peddle pusher pants, size 12. Top has bateau neckline, simulated front opening and gathers below yoke. Skirt and pants have cut-out front, adjustable waistline. V. 1 and 2 skirt has back kick pleat. Pants have openings in lower side seams.